Here at Walker Electrical, we have recently been updating the emergency lighting system at Horton Primary School in Bradford. But what do schools need in terms of emergency lighting? Is it a legal requirement? And what about maintenance? Well, as Preston’s leading electrical experts, we provide a range of high quality electrical solutions for residential properties, commercial and industrial buildings across the North West. This includes schools and universities. As a result, we have produced this guide to emergency lighting for schools. Emergency lighting is a legal requirement for all businesses to make sure that any non-domestic buildings are safe, at any time. This includes during a power cut, or any emergency situations. As part of this, high quality, fully working emergency lighting will be a necessity. Emergency lighting is essential for providing illumination when there is no power, and in the event of a fire or other emergency. 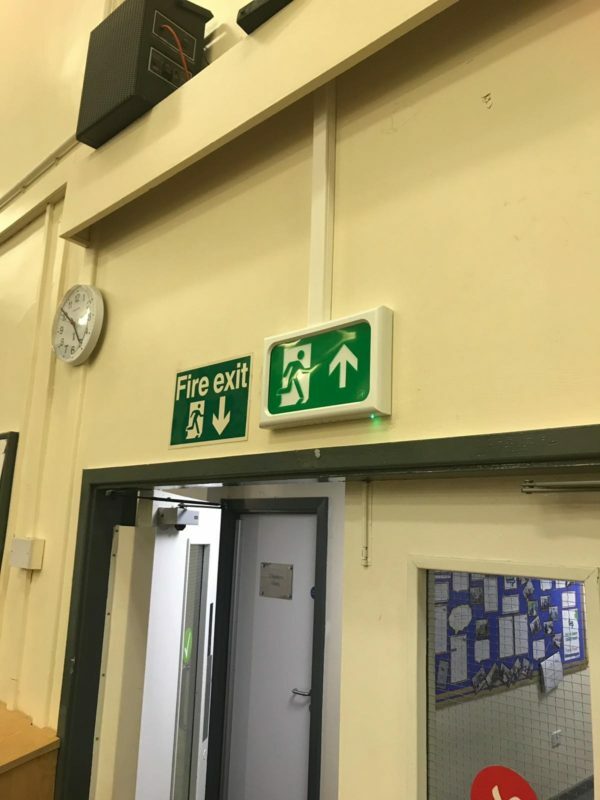 Escape route lighting is the most common form of emergency lighting in schools. Escape route lighting is designed to illuminate the path from any room, to a safe exit. The lights will be positioned above the door to the room, with the next light in sight, leading to the right hallway, staircase or door to choose. This can help people, and in the case of schools, children, see where they need to go next. In smoke or total darkness, the glow from the emergency lights will still be seen, illuminating a safe way out, and helping to save lives. Its important that your emergency lighting stays in good working order, as you never know when it will be needed. And for it to fail during an emergency, because of poor maintenance, could result in a catastrophe. There are emergency lighting types that are designed to be self testing. This means that they periodically test themselves, logging the results with an LED status indicator.